Demand for home remodeling services is rapidly increasing, but many people are unable to make the desired improvements due to lack of financing. According to research from Metrostudy, the number of consumers in Washington D.C. and Bethesda, MA that are remodeling their properties has increased steadily since the third quarter of 2014. Unfortunately, many homeowners may still be struggling to pay for remodeling services, since the job market is still mending and many banks remain reluctant to lend money. 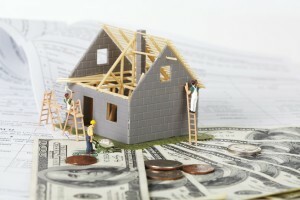 If you are planning to remodel your property, then you should be aware of the funding opportunities available to you. What Are Your Options for Financing a Remodeling Project? There are a number of great reasons to remodel your house. In addition to making your home more pleasant to live in, remodeling can increase its value by 60% or more of the cost of the project. However, you need to find a way to pay for the improvements before you can get started. Thirty years ago, your only option would be to visit your local bank and apply for a loan. Unfortunately, lenders have become more reluctant to lend money since the economic downturn. The good news is that there are other options available that are worth looking into. There are a number of mortgage brokers like Xpress Financial. They provide access to a variety of lenders to help you find the best possible rate. They specialize in helping consumers access unsecured loans for home improvement projects. What Should You Do Before Seeking a Loan? Define the scope of any projects that you want to work with. Consult this chart from Hanley Wood to find out what the average cost of your project is for Washington D.C. residents. Keep in mind that the cost of your project can vary, depending on your home and the part of the city that you live in. However, the report from Hanley Wood is a good basis for seeking estimates from contractors. Speak with remodelers in your area to find out how much the project will cost. You should have a pretty good idea how much financing you will need at this point. You can negotiate with Xpress Financial or another mortgage broker to seek the best possible rates.